Our CEO Stevan answers Online Search Questions regarding your roof. Why are Roof Vents important? This is something we don’t think about enough, but proper roof ventilation will affect the longevity of your shingles. Many shingle manufacturers won’t cover a warranty for a home that doesn’t have proper ventilation. 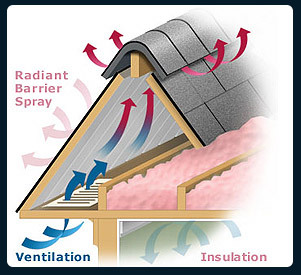 Its important for roofs to take in air from the bottom and expel it at the top. If this process doesn’t happen, hot air will build up and begin to deteriorate the shingles on your roof. Cool air is brought up from the bottom of the roof through the soffit vents and is pulled through to be expelled at the top of the roof. There are several options for these vents but the most commonly found options are Ridge Vents, Turbines, or Power Vents. This creates a constant flow of air throughout the attic. Each repair is specific to the type of roofing material you have. In the case of shingle roofs, the most common trouble areas tend to happen in Valleys, against Chimneys or against walls where there is flashing. Most of the time, these issues are from improper flashing installation. It is important to get a good assessment of the repair that needs to be done. Often times where you see a leak doesn’t mean the leak came from that specific area. Water will travel downhill before it drips off. A professional will be able to properly locate your leak, and determine the best repair for your roof. Shingle damage happens most commonly in hailstorms, especially in the state of Texas. When a hailstone hits a shingle it deteriorates the surface of the shingle causing granule loss. Once this happens the sun begins to eat through the asphalt causing small pinholes on the surface. You should call a roofer to come to inspect your roof if you are ever involved in a hailstorm. They will be able to determine the full extent of the damage and which shingles will need to be replaced. The most cost effective roofing style is Shingles. Shingles offer the best durability for the cost. Metal roofs are the second most cost effective roofing style, and come in a variety of colors, and offer extended durability, but this comes at a higher cost. There are pro’s and con’s to every roofing style, and it’s important to find the color and style that best suits your lifestyle.